Although I am desperately trying to lose weight to fit back into my favourite red dress I do not want to give up my love of baking. I have not been taking on as many customer orders recently as I have had a lot on with family commitments and with my day job as a teaching assistant. However, I realised I had not baked one single thing this year so far and I always like to make a pudding for Sunday lunch. I originally was going to try and make a Queen of Puddings from the Great British Bake Off book but Sunday morning came round and I was not in the mood for making anything complicated or difficult as it appeared on the TV programme. I had two large lemons in my fruit bowl which needed using up. Inspiration came in the form of a new cookbook which was a Christmas present. I was lucky enough to get both Fiona Cairns’ books for Christmas after enjoying her recent fabulous TV series “The Home Of Fabulous Cakes” which was on last Autumn. 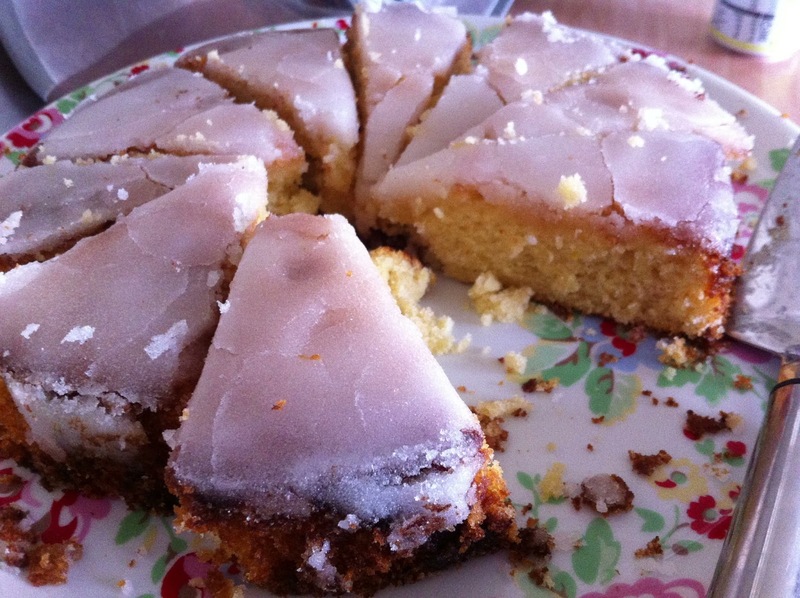 I came across a rather delicious sounding recipe the Very Lemony Crunch Cake in the first of Fiona Cairns’ books called “Bake And Decorate” it sounded very like lemon drizzle cake with a crunchy syrup topping. My mouth watered, I had all the ingredients and I knew everyone liked it at home. I thought I’d better get started. So out came the ingredients: butter, caster sugar, flour, salt, free range eggs and two large unwaxed lemons. My deep round spring form tin was buttered and lined ready for the mixture. First of all I looked at the baking method and realised it was a whisking method to combine the ingredients. I couldn’t be bothered with all that so I opted for an all in one method in my KitchenAid mixer. I then folded in the lemon zest and the lemon juice at the end. Into the cake tin it went and came out of the oven about half an hour later. I just loved the gorgeous lemony smell as it was baking. Towards the end of the cooking time I then prepared the sugar syrup with some more lemon juice and caster sugar. It came out a lot thicker than I expected and laid thickly on the top of the cake rather than drizzling down the side in a big mess. A slice of the Very Lemony Crunch Cake served with a spoonful of double cream. The cake all cut up into slices. The verdict? It was absolutely delicious! 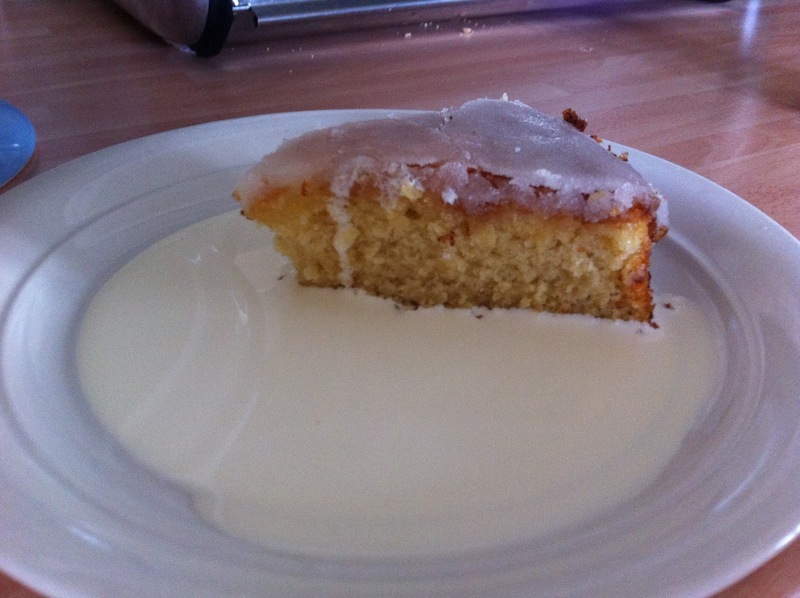 The lemon cake was meant to be served for dessert after our Sunday roast but we couldn’t wait that long! My daughter was so hungry after she had finished her final pantomime performance, she ate 2 slices one after the other. My son and hubby had some too and what’s more even I had a small slice even though I am meant to be on a diet! I am writing this the day after and I can only see one a small slice left in the tin, the kids must’ve been at it again after school! Would I make it again? You bet! 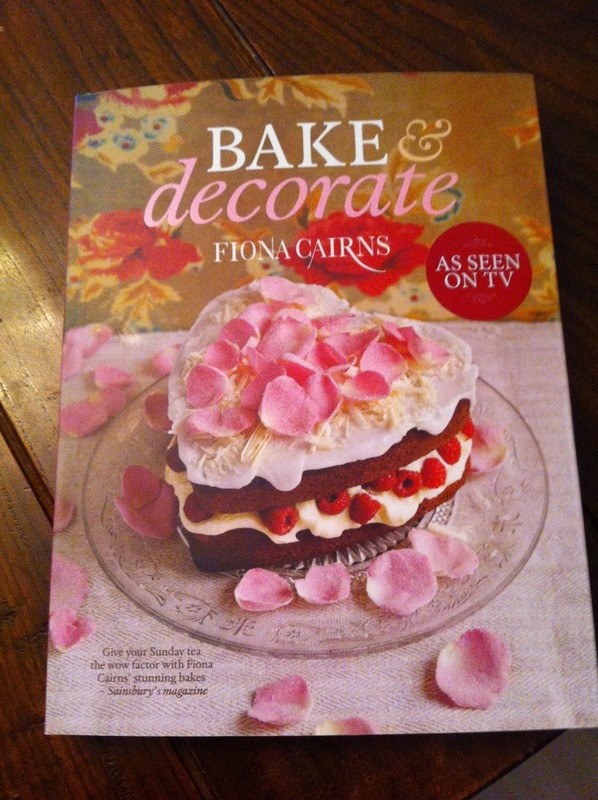 Fiona Cairn’s first book “Bake And Decorate” which was a lovely Christmas present. a love lemon, I should try this! thanx!